Home / Other Political News, Politics / RUTO will collapse after hearing this message from DPP NOORDIN HAJI over Weston Hotel - The hotel is going down!! RUTO will collapse after hearing this message from DPP NOORDIN HAJI over Weston Hotel - The hotel is going down!! 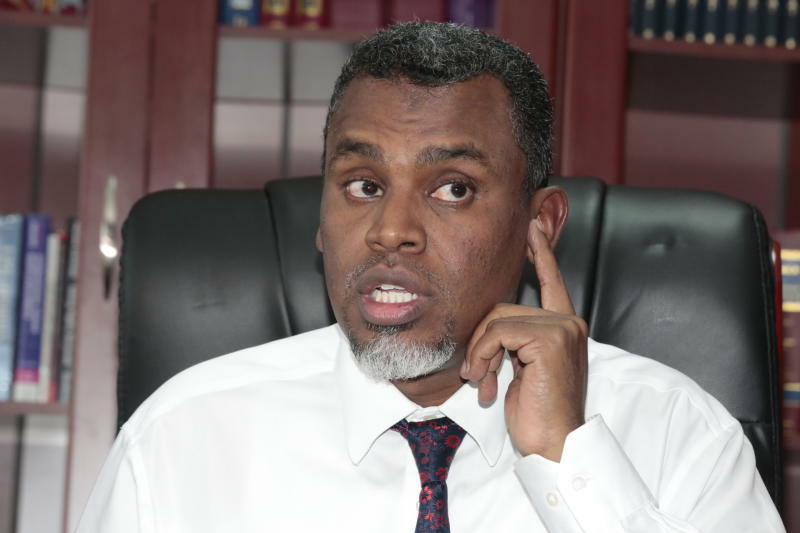 Tuesday January 29, 2019 - The Director of Public Prosecutions (DPP), Noordin Haji, has issued a stern warning to land grabbers saying that they will be arrested and their properties repossessed by the Government. Speaking on Tuesday during an event to return grabbed land belonging to University of Nairobi, Haji and EACC head, Twalib Mbarak, said that all grabbed public land and money will be reclaimed and perpetrators charged. The UoN land, whose value is estimated at Ksh.2 billion was given back to the university and a title deed also issued with promises to protect public land from grabbers. Mr Haji also reiterated that all public land and assets that have been grabbed are in the process of being reclaimed and they will ensure they are used as intended. “Tutafuatilia na tutahakikisha kwamba itatumiwa ipasavyo (We will follow up and ensure that they are utilised properly)" he said. Mr Haji’s pronouncement comes at a time that the National Lands Commission (NLC) announced that it struck a deal with Deputy President William Ruto who is accused of grabbing Kenya Civil Aviation Authority (KCAA) land. Ruto is said to have grabbed the land in 1998 and built the 5 star Weston Hotel. In a shocking decision, NLC ruled last week that Ruto can keep the hotel but pay the Government for it. The commission ordered a revaluation of the prime piece of land to determine the current market price to facilitate Weston to buy the land as a reimbursement to the KCAA. Weston Hotel is valued at Ksh 350 million.